Thoughts from Polly's Granddaughter: What is a Wannabe? A lot of people seem to have a hard time understanding what a wannabe is so I thought I would tell you. A wannabe is someone who claims to be Cherokee even though they have NO tie to the authentic nation, NO evidence to suggest their ancestors were part of said nation, yet they still say they are Cherokee simply because they have heard they were through family stories. A wannabe is NOT someone who actually descends from a former citizen of said nation and can show it through documentation. Even though some of these people cannot enroll or register with one of the three federally recognized tribes, if they can show irrefutable proof of their ancestry, they are NOT a wannabe. They are a Cherokee descendant. A wannabe is NOT someone who says they are doing their genealogy and have heard they have a Cherokee in the family. Many times people will admit they have heard the story but because there is NO documentation to support, they don't claim it. This is someone who has heard the myth but is helping to dispel it in their family by only claiming what they can find evidence for. Now, back to what a wannabe is. These are the people who refuse to accept evidence that flies in the face of their family story. You can show them documentation from where their "Cherokee ancestor" arrived on the boat from England, yet they still insist this ancestor was Cherokee. You can show them that their ancestors were always listed as white in the records, but they insist the records were wrong, citing they were "whitewashed" or their full blood ancestor "passed for white". 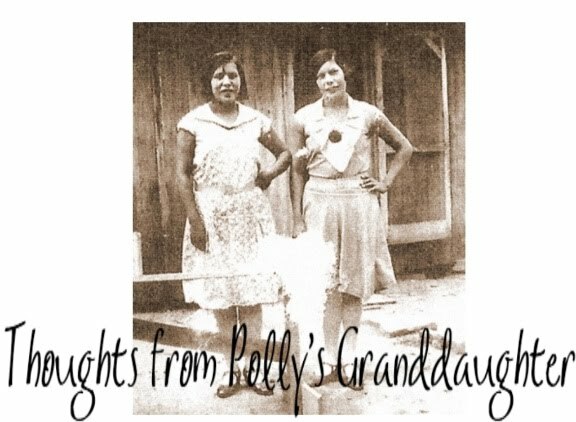 You can explain that their great great grandma who was born in 1868 could not have possibly been born on the Trail of Tears since she was born thirty years after it happened, but they still insist their family story is true because their grandma/grandpa wouldn't lie about it. You can explain that the Cherokee never lived in Pennsylvania (where their ancestors lived) but they still won't give up the myth. Hopefully you are getting the point. A wannabe is someone who just won't give up the family story, no matter how absurd. They claim to be Cherokee no matter what and no one will ever be able to convince them otherwise because they so desperately "wannabe" Cherokee. Please don't be a wannabe. Adhere to the Standards for Sound Genealogical Practices and only claim the things you can verify with supporting evidence. CC - Thank you so much for posting this. I have heard stories like just about everyone else and have "relatives" who insist that they are Cherokee. When I asked them where the documentation was, they mysteriously broke off contact with me. That's OK. If the documents exist, I'll find them one day. If the documents don't exist and they want to go on being deluded by the "family stories", I'm better off without them. This is a really good writing. It helps me to decide just what I am and just what I am not. At least I'm not a wannabe, I'm a Cherokee descendant. 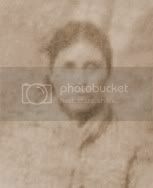 My ancestors were Cherokees and lived among the Cherokees in Northeastern Alabama. However, from what I can gather, they chose to leave the Cherokee Nation and live among the white people. For whatever reasons, they left their people and in fact became as white people. I'm not sure why this happened. But they made similar movements with the Trail of Tears, by far the worst disaster in history. They moved in the late 1830s to Johnson County, Arkansas. And Interestingly, they lived in the area that once was inhabited by the Cherokee People in Arkansas before they moved into Oklahoma with the removed Cherokees. I believe the place is called Horse Head Township and not very long ago I visited that area and learned a bit about the Cherokees who once lived there. Rumor is that there is an old Indian burial ground there as well, but I never could locate that. Keep up the good work! I enjoy learning about the Cherokee culture and history. I have even studies the language online to see what it may have been like to speak Cherokee. They are such a fascinating people. I'm proud to be a descendant of the Cherokees.